The production solution based on the R&S®SMU200A is fast and accurate. Based on the successful R&S®SMU200A platform, the R&S®SMATE200A is specifically designed for production environments. Based on the successful R&S®SMU200A platform, the R&S®SMATE200A is specifically designed for production environments. 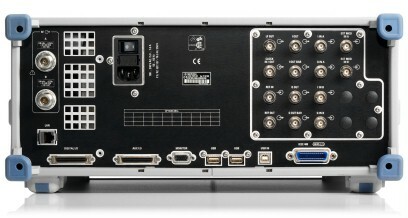 As such, the display and front panel user interface have been removed, the connectors moved to the rear, and performance has been optimized for fastest setting times to improve factory throughput. Like the R&S®SMU200A, the two-generators-in-one concept has been kept, occupying four height units – a plus for production where space is at a premium. 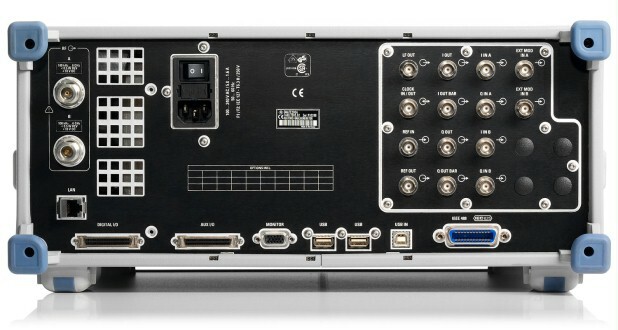 All of this is available without compromising the excellent RF performance and baseband flexibility. 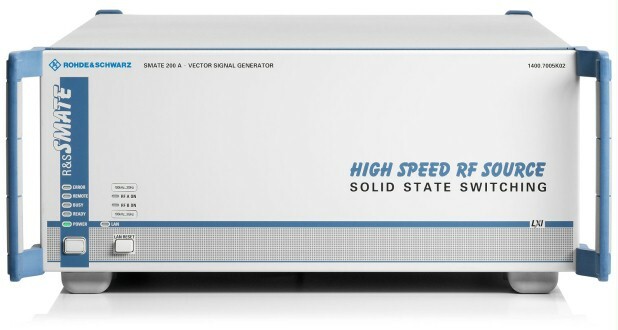 Speaking of flexibility, the modular design concept of the R&S®SMATE200A means that the R&S®SMATE200A can easily be adapted to the needs of any application. Users have the choice of either 3 GHz or 6 GHz RF outputs in one or two paths and may opt for up to two completely independent baseband sources. As in the R&S®SMU200A, these sources may be used to produce complex signals in realtime or output preloaded waveforms from the internal arbitrary waveform generator. 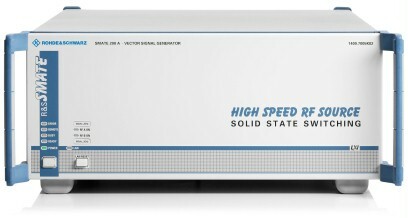 In addition to its inherent speed, the R&S®SMATE200A also offers a special function to permit fast switching between different test signals. The multisegment waveform function allows users to easily combine waveforms, such as GSM and WCDMA, during test setup for even faster tests in production. This is just one of the R&S®SMATE200A’s numerous adaptations to the special requirements of the production environment.